Yizzy prepares for war in the video for 'Chief' - watch it now. The prodigal MC is only 18 years old yet he's leading the new grime charge, determined to prove reports of the genre's demise to be fiction. 'Chief' rolls on a muscular sub-low production, the square wave melody nodding towards 2004 while looking defiantly to the future. 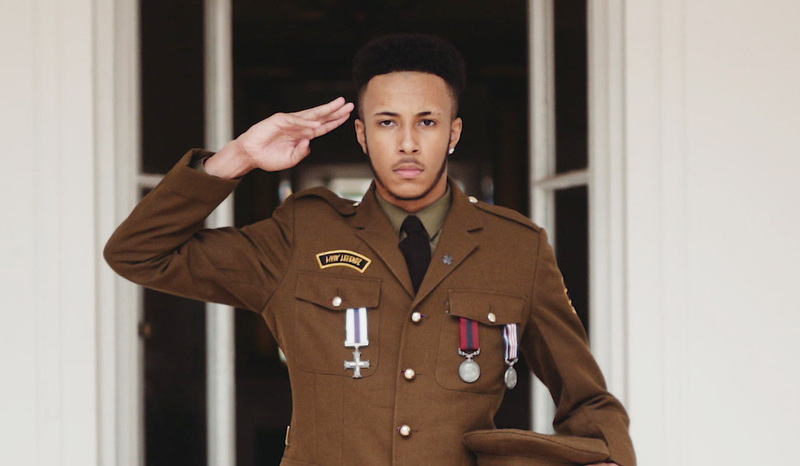 Leading a "Lewisham ting" the "commander in chief" gets ready for a full frontal charge in the video for 'Chief'. Shown in full uniform, Yizzy occupies a huge mansion as he makes his plans for war.